The Toronto Blues Society’s yearly programming includes the annual Women’s Blues Revue, Maple Blues Awards, Hump Day Blues Series, TBS Talent Search, the biennial Blues Summit blues conference, and many other workshops and collaborative events. On March 22 the Canadian blues community has learned the sad news about the passing of Vancouver Island guitarist Jason Buie when he was only 47. In memoriam of Jason Buie, a fundraiser concert will be held on Friday, April 6 at Hugh’s Room Live including names like Suzie Vinnick, Jenie Thai, Gary Kendall, Mark Stafford, Terry Wilkins (Sinners Choir), Bucky Berger, Raha Javanfar (from Bad Luck Woman & Her Misfortunes), Dan McKinnon, Lance Anderson, Andrew Scott, and Brian Blain. Doors are at 6pm, concert will start at 8:30pm. Advance tickets are $25, tickets at the door are $30. 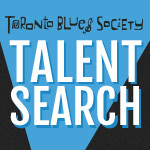 Each year, the Toronto Blues Society searches for its undiscovered blues talent. Six finalists are selected to perform for a professional development package including festival gigs, mentorship meetings, studio time, graphic design and much more! 2019 Talent Search will take place on Sat, June 29th on Hazelton Ave. at Hazelton Stage of TD Toronto Jazz Festival! 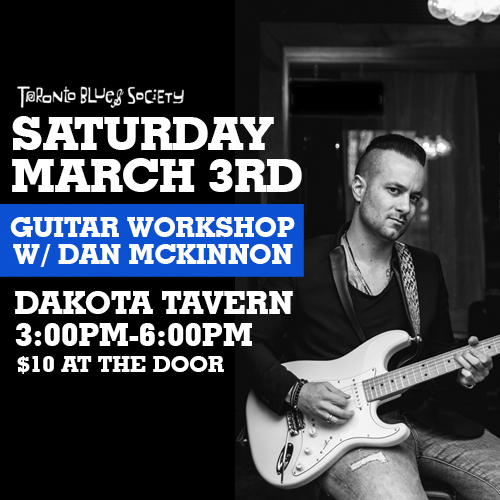 The Toronto Blues Society’s popular Guitar Workshop is back and hits The Dakota Tavern (249 Ossington Ave) on Saturday, March 3 from 3:00-6:00pm. This year’s workshop will be hosted by Dan McKinnon. Featured guests include Kevin Breit, Brooke Blackburn and Mike Daley. 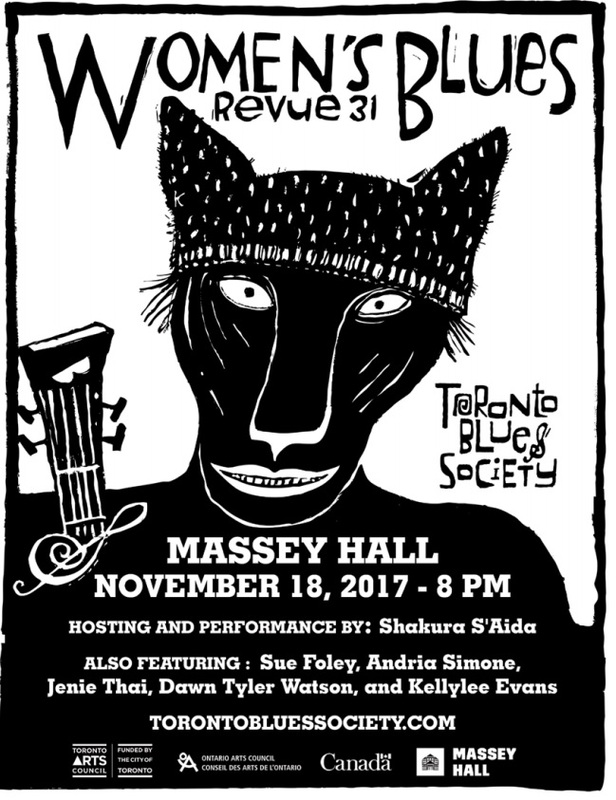 The 31st Women’s Blues Revue took place on November 18, 2017 at Massey Hall in Toronto. Celebrating thirty three years, the Women’s Blues Revue once again featured the finest musicians in the business. 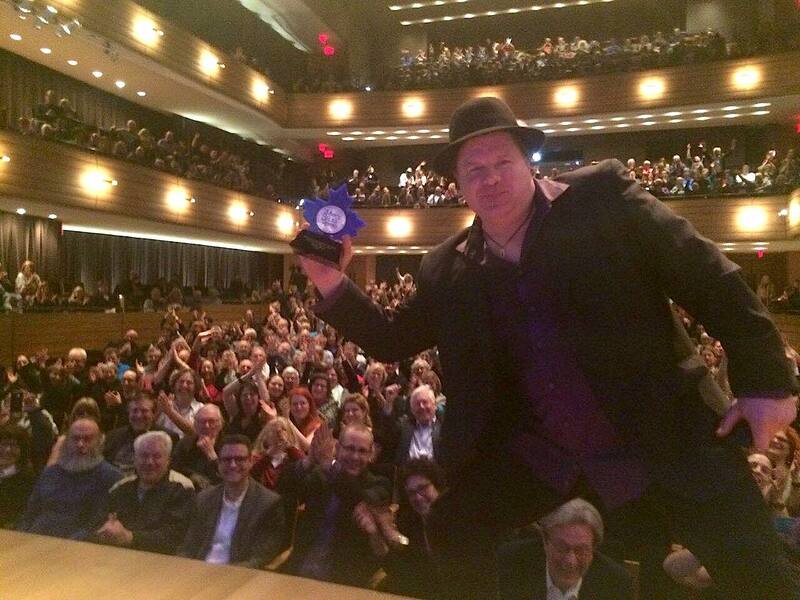 Roy Thomson Hall and the Toronto Blues Society joined forces to showcase a star-studded cast.